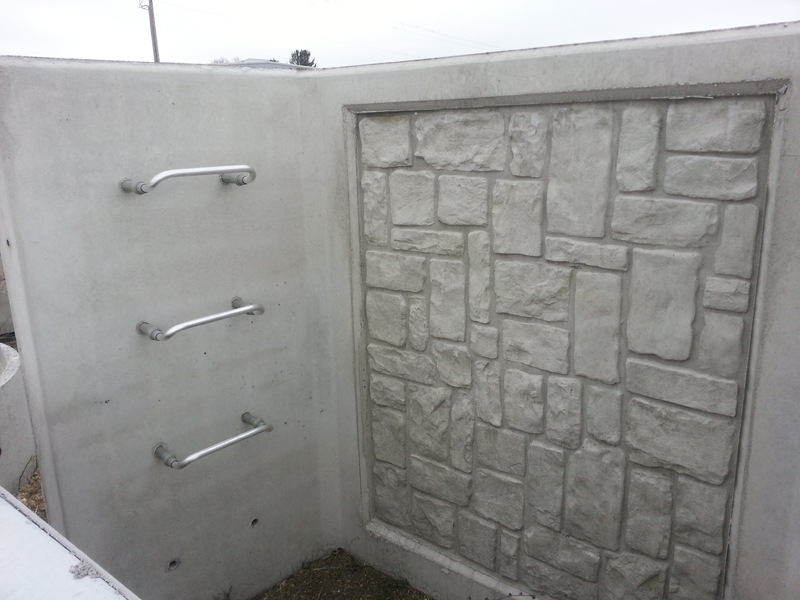 The Dalmaray Precast Window Well is a great accent to any home. We have the capabilities to pour multiple patterns as well as colors too. With competitive prices and a window well built to last, why go plastic? Access to and from your basement is a great addition to any home. As one of the only dealers in Wisconsin of Perm Entry Systems, we can suit any of your needs. 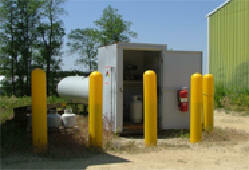 Precast Bollards are a viable solution to your security needs. With a hard polyethylene shell and a concrete inner core, there is no need to pour your own. Standard colors are yellow, red, blue, dark granite, and light granite. Standard sizes are 4″ and 7″. Other colors and sizes are available. We offer two different lengths of splash blocks for proper drainage off your sophets. The lengths come in 30″ and 36″. The rain drains are precast distribution boxes with a plastic grating on top to allow maximum drainage off your sophets. They come in sizes of small and large. With the addition of our new parking stop form, we can now make 5 blocks a day. They can come with drains or without and with pins or without. We also have the equipment to make larger stops for truck stops. The picnic tables and park benches are very popular in parks and public places. 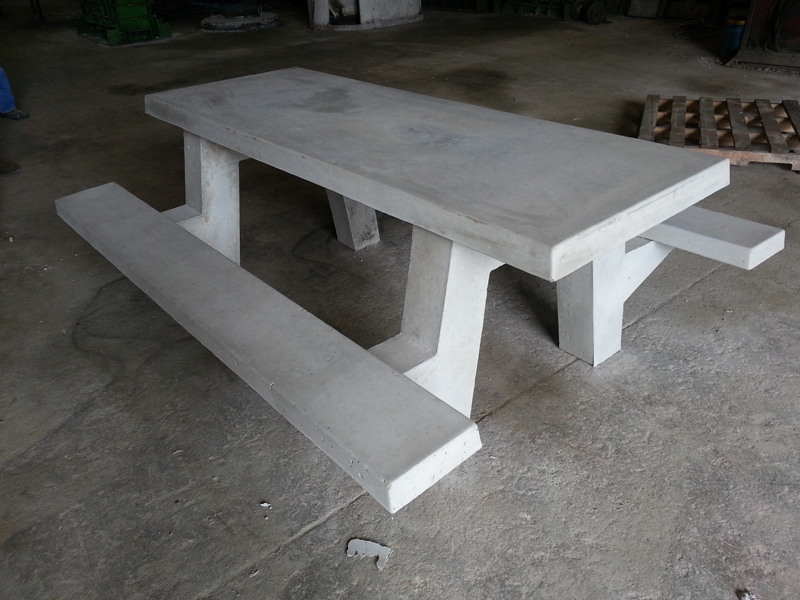 We can make round or rectangular picnic tables and have the ability to put in memorial plates. The park benches are put together with quality pressure treated lumber and are durable way to add beautify an area. from Dalmaray. 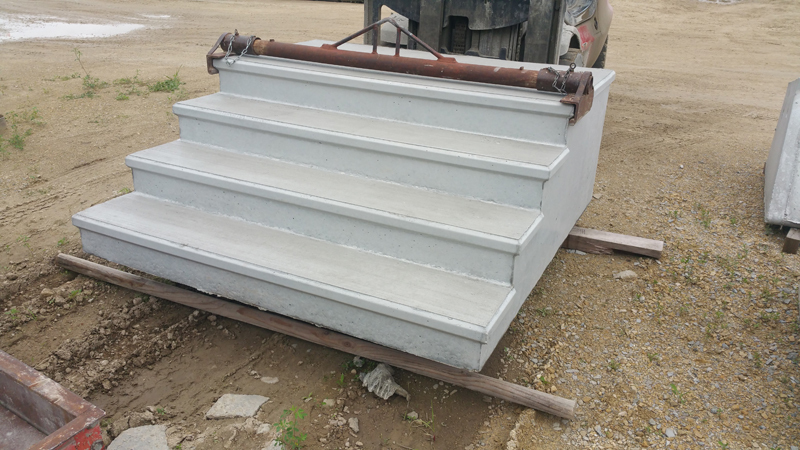 Long lasting and durable precast concrete will ensure a quality product for a lifetime investment. We can make various custom products for your home or business. We can make lawn edgers, tree rings, and patio blocks. This is a very loose category is far as what we can do. We can also do custom work. Call anytimeand speak to someone who can suit your needs.